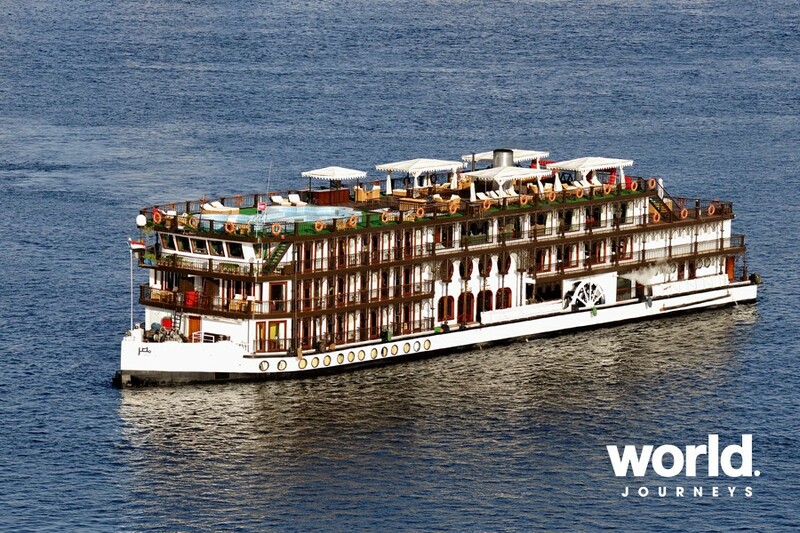 Join the gorgeous steam cruise, the SS Misr, as she sails between Luxor and Aswan in Upper Egypt. 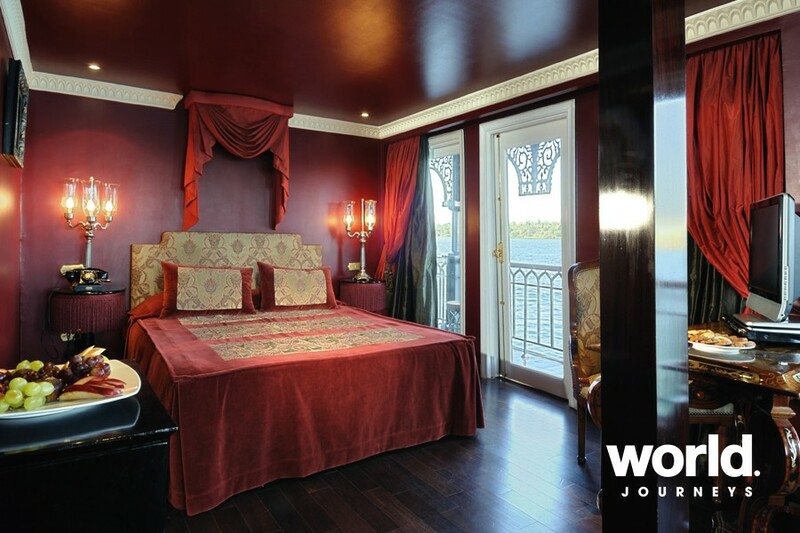 Originally built by the British Royal Navy in 1918 and later converted into a luxury Nile steamer for King Farouk, the SS Misr is a true time capsule that rekindles the nostalgia of a golden age, with true luxury accommodation, cuisine and service. 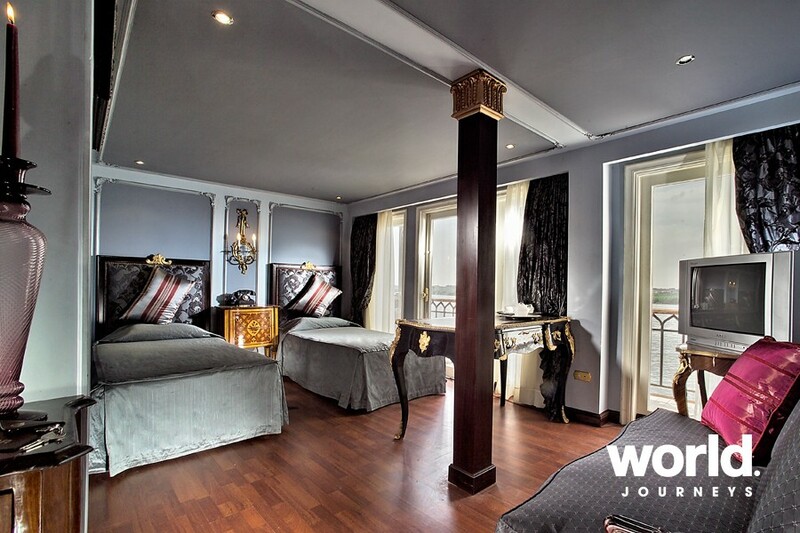 SS Misr offers 16 cabins and eight suites along with a luxurious bar and lounge, restaurants, and a large sun deck with a swimming pool. 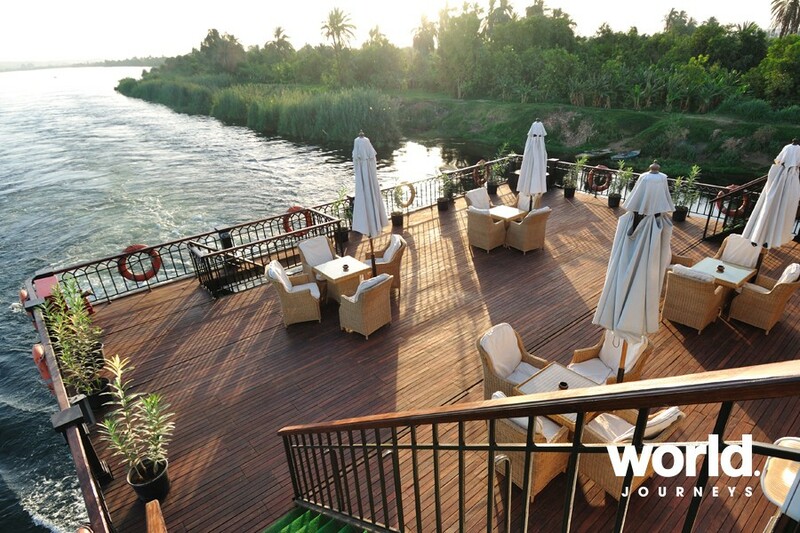 Day 1: Luxor Transfer to your superior class cruiser moored on the Nile. 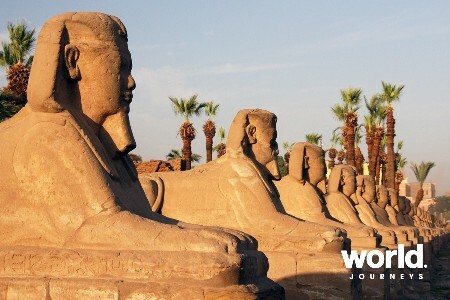 Once checked in, visit the Temple of Karnak and the Temple of Luxor. Karnak - No site in Egypt is more impressive. It is the largest temple complex ever built by man, and represents the combined achievement of many generations of craftsmen. Luxor - The Temple of Luxor was the centre of the important festival of Opet. 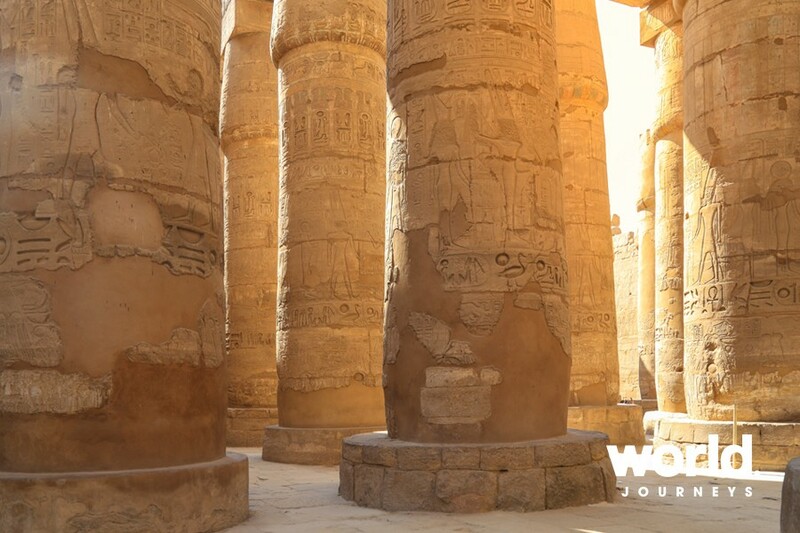 Built by Amenhotep III and Ramses II, the temple's main purpose was as a suitable setting for the rituals of the festival. 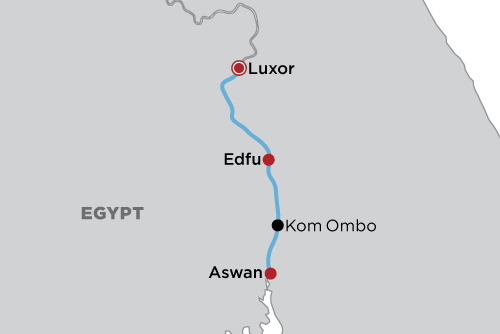 Day 2: Luxor > Edfu Visit the Valley of Kings and the Funerary Temple of Hatshepsut. 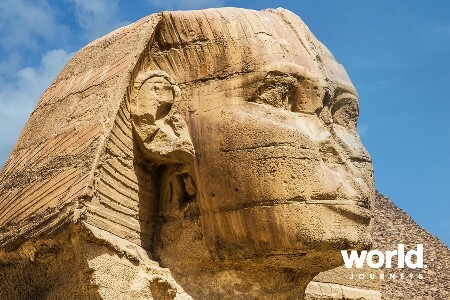 Valley of the Kings - The Egyptian belief that "To speak the name of the dead is to make him live again" is certainly carried out in the building of the tombs. 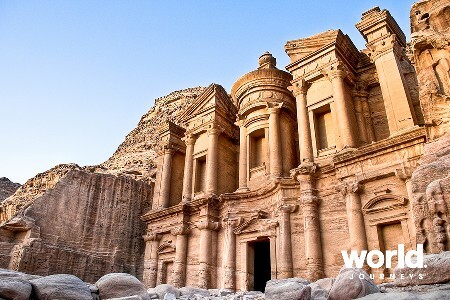 The king's names and titles are inscribed in his tomb along with images and statues. 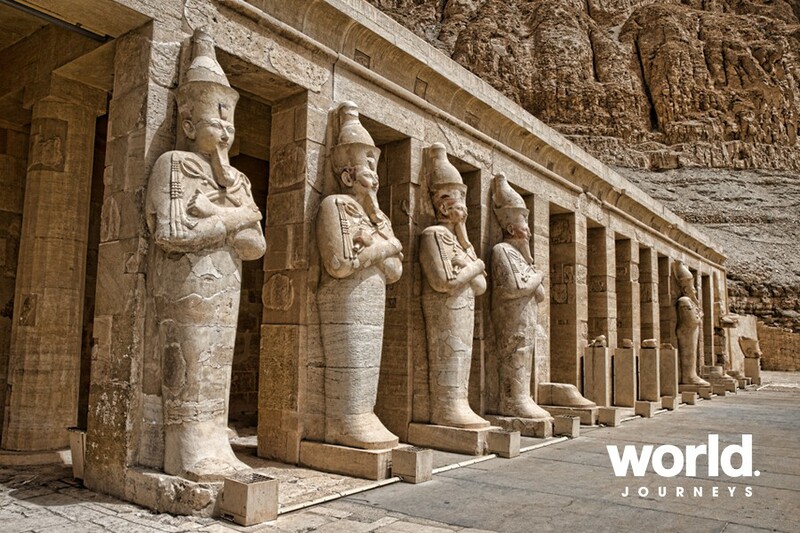 Temple of Hatshepsut - The mortuary temple of Queen Hatshepsut is one of the most dramatically situated in the world. The queen's architect, Senenmut, set it at the head of a valley overshadowed by the Peak of the Thebes. A tree lined avenue of sphinxes led up to the temple, and ramps lead from terrace to terrace. 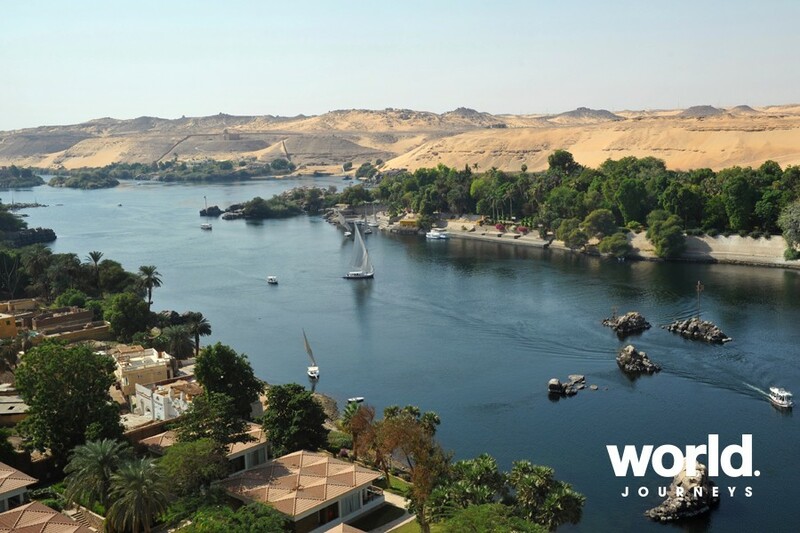 Day 3: Edfu > Kom Ombo > Aswan See the Temple of Horus and the Temple of Kom Ombo. 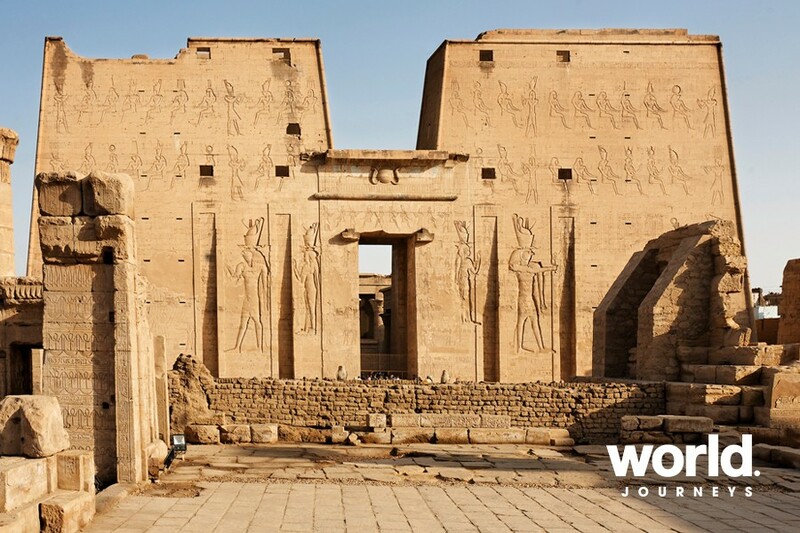 Edfu - The Temple of Horus is considered to be the best preserved cult temple in Egypt. 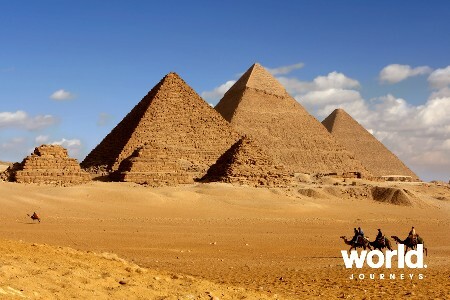 The town was the capital of the second Nome (Horus) of Upper Egypt. Kom Ombo - a unique and unusual temple dedicated to two gods - Horus and Sobek. There is a Nilometre close to the edge of the river and an anteroom containing mummified crocodiles to be seen here. Tonight enjoy a Tarboosh party onboard. Day 4: Aswan See the High Dam, Philae Temple and the unfinished Obelisk. 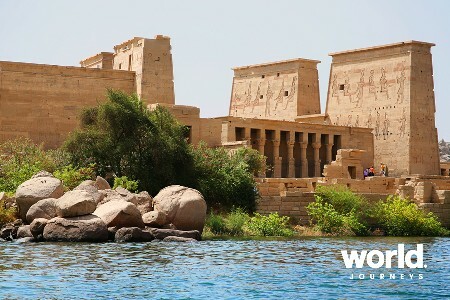 Philae Temple - Philae was dismantled and reassembled (on Agilika Island about 550 metres from its original home on Philae Island) in the wake of the High Dam. The temple, dedicated to the goddess Isis, is in a beautiful setting which has been landscaped to match its original site. This afternoon enjoy a Felucca ride on the Nile around Kitchener Island. Day 5: Aswan Check out will be after breakfast. Sightseeing services will be provided on a group basis with other English speakers on board. If you wish to have a private guide, a supplement will apply. Prices based on a standard main deck cabin. Upper deck and suites are available at a supplement. 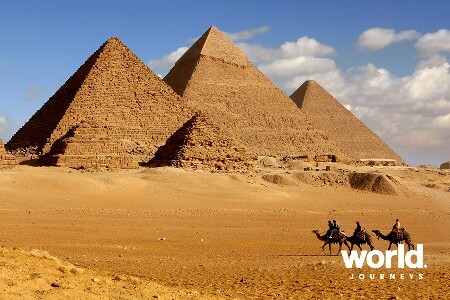 Drinks, gratuities, items of a personal nature, domestic flights within Egypt or other services not mentioned.